Home Football Analysis Will Barcelona Dominate Spain Again This Season? Real Madrid may have dominated Europe last season winning the Champions League for the third year straight under Zinedine Zidane, but Barcelona ruled Spain. The Blaugrana were untouchable as they helped themselves to the double. 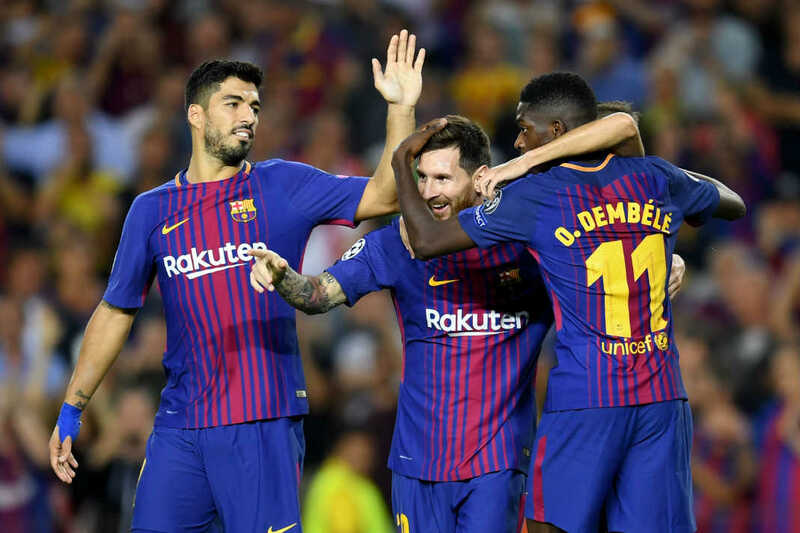 Ernesto Valverde’s men won La Liga without much stress as their bitter rivals struggled for a place in the top four. Barcelona were even on course to make history as invincibles but for a loss to Levante in the penultimate league game of the campaign. They also strolled to a Copa del Rey win hitting Sevilla for five in the final. As has become usual, Lionel Messi starred for the serial winners continuing what has become very much a tradition during his time at the club. The Argentine captain was in top form scoring a massive 34 league goals to cart home the European golden boot. Cristiano Ronaldo, Neymar, Antoine Griezmann, name them. They couldn’t come close. Mohamed Salah had an exceptional season in the Premier League, but even he came up short compared to Messi in league football. Perhaps players like Felipe Luis and Luis Suarez have a point in their comments about the Barcelona midfielder’s snub for this year’s UEFA and FIFA Best Player awards. They both feel regardless if he is so crowned as such or not, he remains the best player in the world. Season after season. The man makes Barcelona favorites for any competition they are in. They have started this season much the same way. Early signs suggest they will yet dominate Spain. Never mind Julen Lopetegui’s determination to make his mark with Real Madrid. Real Madrid lost their most lethal weapon in the form of Ronaldo and are trying so hard to convince everyone it doesn’t matter. The players are putting in extra effort to convince the world that they are fine without their former talisman but only time will tell the real effect of the reigning Ballon d’Or winner’s absence at the Santiago Bernabéu. For now, the cracks are already showing. A draw against Athletic Club in the last league match could have easily been a win. That’s if the Portuguese was on hand to convert the free kick at the edge of the penalty box that Sergio Ramos blasted well over the bar towards the end of the game. As opposition goes, all of Atletico Madrid, Valencia, Sevilla and even Villarreal are struggling so far. Not that Valencia, Sevilla or the Yellow Submarines will give Barca a run for their money though. But it’s just to buttress the point that the playing field is skewed towards the Blaugrana dominating. Ernesto Valverde also did some great business during the transfer window by adding steel to the midfield. Arturo Vidal needs no introduction. Arthur also comes already well celebrated in Brazil. Some not so great players were let go to make room for more strength. The likes of Paulinho, Denis Suarez, Lucas Digne and Yerri Mina were sold outright, while André Gomez was sent out on loan. 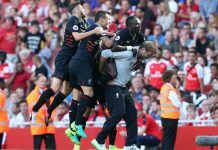 The team has become even stronger as results on the pitch show. Four wins out of four with goals aplenty lays down the marker for the season. Key players are in top form and the confidence in the team is high. Messi has led the way, again as usual, with four goals and two assists in four games. Suarez has contributed three and set up another two as well. Ousmane Dembele was hampered by injury last term but he has set out to justify his price tag this time around. He has netted thrice in as many games. Philippe Coutinho is not far behind. So is World Cup finalist Ivan Rakitic as they have both registered a goal and an assist each. In defence, World Cup winner Samuel Umtiti’s partnership with Gerard Pique is getting better like fine wine. The players showed the mood for the season when they hit Huesca for eight at Camp Nou. A baptism of fire for the newcomers you might say. 14 goals scored in just four matches conceding only four speaks of a side out to dominate the competition. The scary part is they are just getting started.